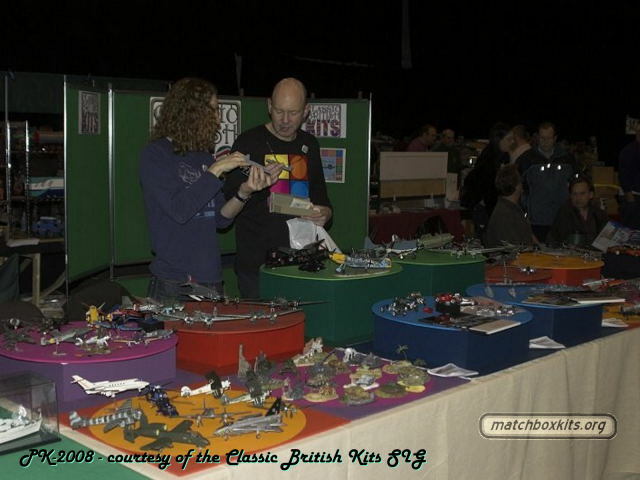 For the ScaleModelWorld show at Telford UK in November 2008, the members of the Classic British Kits SIG collaborated in a massive build of all Matchbox kits that were available in 1978. This started off with the simple question "So what are we doing for SMW 2008?". After a long discussion on the UAMF forum the theme for 2008 was finally confirmed as PK-2008 Matchbox 1978. 2008 meant a 30 year anniversary for the kit range of 1978. That was the last year Matchbox was without the AMT input and was, therefore, a Classic British institution. The pictures show an impression of what PK-2008 looked like at Telford November 15 and 16, 2008. Many pictures on this site have originated from this group build. Many thanks! Note: The CBK SIG is hosted on the Unofficial Airfix Modellers Forum.